WHEN: Artist's Reception: Saturday, February 16, 1-3pm. On View: February 2-28, 2019. The Gallery at Arcadia Wildlife Center will exhibit artwork by Sophie Argetsinger during the month of February. Rare Species of Mt. 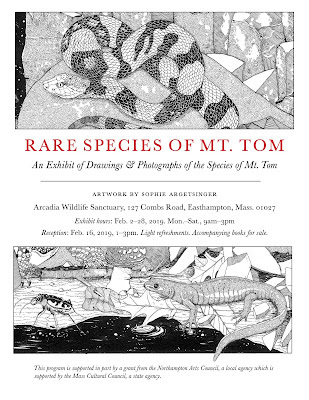 Tom focuses on depictions of a variety of plant and animal species found at Mount Tom State Reservation in Holyoke, Massachusetts. 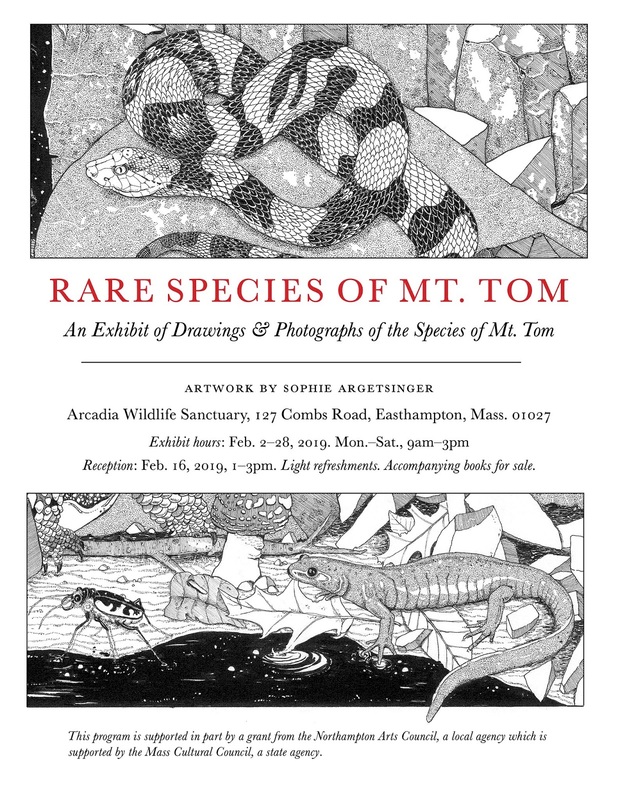 Accompanying booklets, available for browsing or for sale, include the artist's drawings and additional information about the species depicted in the exhibit.